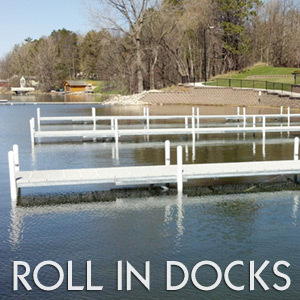 Since 1984 Remer Custom Docks has been manufacturing and distributing roll in and lift docks to all of Minnesota, Wisconsin and beyond. With our innovative, new process, using Gatorshield® Tough galvanized steel, we can build you a dock that will stand the test of time and hold up in severe weather. 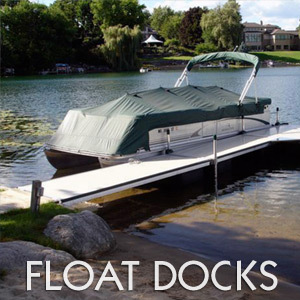 Our docks are designed for easy installation and removal by one to two people. Let us custom design a layout that fits your needs and recreational desires. We challenge all manufacturers on ease of installation and cost. We can also provide you with Steps, ladders, tables, benches, shore extensions, bumpers and much more. Also contact our custom department for Trailers, brush guards, mesh tails gates and anything that you can dream, we can build. 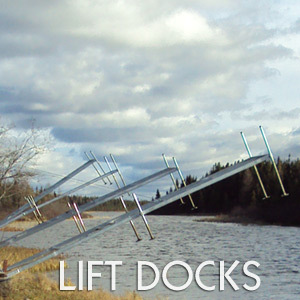 that lifts both your dock(s) and boat lift out of the water with ease.